Indie team SUTD Game Lab are bringing their debut title One Upon Light to the PS4 at some undisclosed time next year. Like a vampire movie, except all science-y. In One Upon Light, windows and other light sources provide more than just the uncomfortable realization you have stayed up all night once again watching reruns of Buffy on Netflix: they are your greatest bane, for your little scientist will die if the light ever touches him. 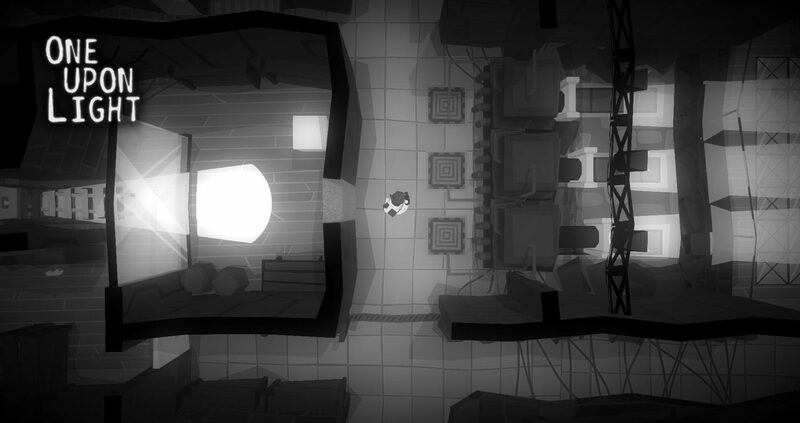 In a way One Upon Light could be seen as a stealth puzzler. The team at SUTD Game Lab are most certainly relying on a mechanic that has been featured in many such games: that stepping into the light means near-immediate death, and should be avoided at all costs. Unlike many other games that have relied on the mechanic, however, One Upon Light replaces the stealth overlay with an abandoned office complex, and your Sam Fischer-wannabe with an unnamed scientist. The entire thing is laid out somewhat like a schlock horror film, with the entire game being played in shades of gray, with warped surfaces and characters. The goal of each level is simple: make it through the room, find the exit, and move on. Your character is not entirely reliant on the environment being accommodating to their needs, though! As befits a lowly scientist who has spent so many years in a lab you’ve become allergic to the sun, you are armed with an object called the Shadow Echo device, which allows you to freeze or replicate the shadows objects have previously cast. 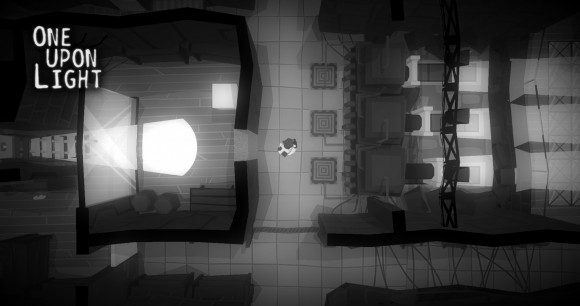 Using this, a little dab of ingenuity, and some good old-fashioned twitch gameplay, One Upon Light wants to see you sitting on the edge of your seat throughout each puzzle. As of now, One Upon Light is set to be a PS4 exclusive title, with a nebulous release date of “somewhere in early 2015” for everywhere that isn’t Asia. Those who happen to be so (or at least in that part of the world) can grab the game on October 23rd. Let us know how it turns out.